Courses Offered: Basic Life Support (including C.P.R.) and Manual Handling. Course Cost: $130 includes online theory and practical training in both courses. Practical Training Duration: 3 hours to complete the practical training in both of the above courses (1.5 hours each). Training is conducted back to back meaning that when a 3 hour session is booked you will undertake 1.5 hours of B.L.S. training followed immediately by 1.5 hours of Manual Handling training (or vice versa). Online Training Duration: Is estimated at 1.5 hours per course but can vary depending on the individual. As these are online courses you don’t have to complete them all in one go. You may login and review the learning materials (videos) as often as you wish. You do need to ensure you complete the online quizzes for both courses prior to attending the practical session. You have as many attempts as required to pass the quiz. Maximum Class Size: 10 students per trainer for optimal learning and assessment. Requirements to meet compliance: Successful completion of the online quizzes will enable you to print your certificate for each course. You must ensure you bring your certificates with you to your practical sessions. Upon satisfactory completion of the practical training the trainer will stamp and sign these certificates confirming completion of the full course. What will I receive upon completion? : A certificate of successful completion in both of B.L.S. and Manual Handling. This will also attract a total of 6 Australian College of Nursing (ACN) CPD hours. When will I get my certificate and be able to go on clinical placement? Your trainer will stamp and sign your certificate immediately following the successful completion of your practical training. The certificates can be used for clinical placements. Are IntelliLearn trainers qualified? Yes! 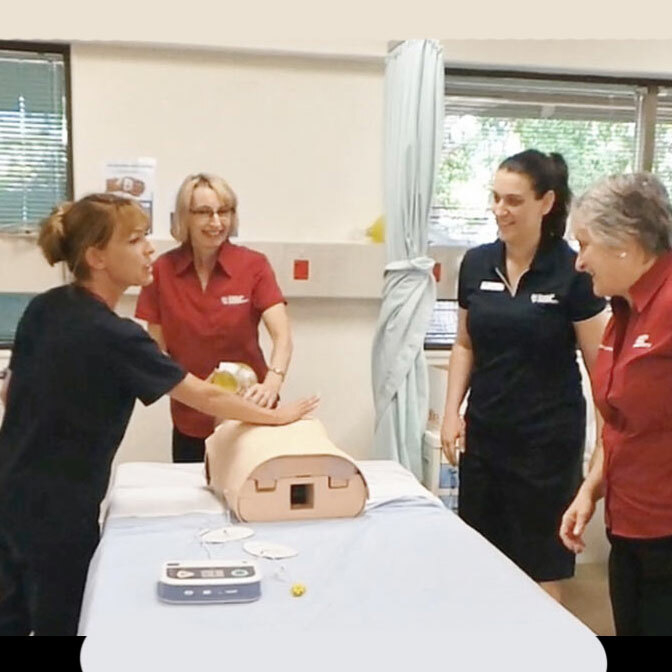 All of IntelliLearn’s trainers are qualified and experienced Nurses and/or Midwives with extensive training and experience. Your training will be clinically relevant and delivered to the highest possible standard. Is the training reputable? IntelliLearn’s online and practical training in B.L.S. and Manual Handling has been endorsed by the peak nursing body in Australia – the Australian College of Nursing (ACN). How do I book my training? Click “Book Your Training”.